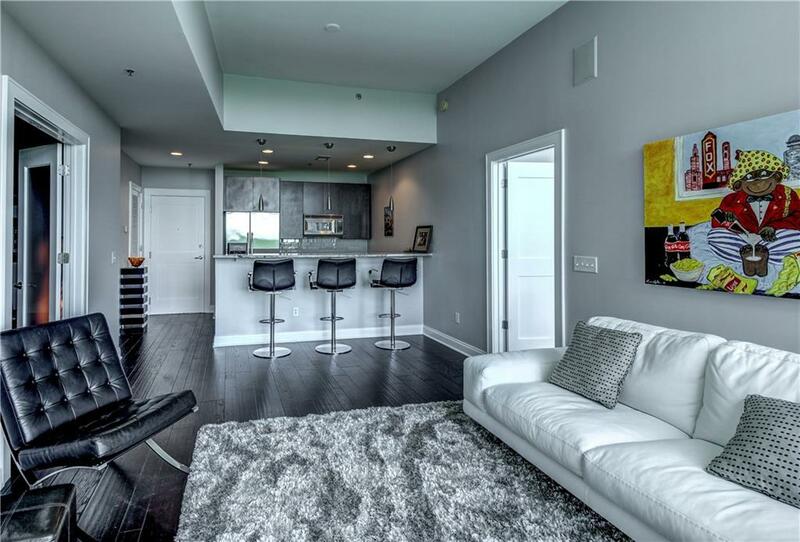 Pristine Penthouse Unit with gorgeous treetop views, 11 Ft ceilings and dual walk-out balconies overlooking the pool! 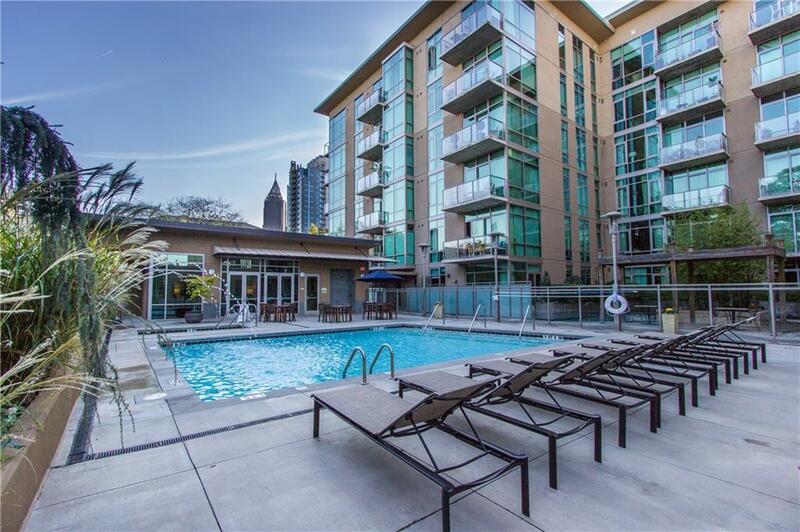 Amazing location with popular restaurants, shops, Piedmont Park and attractions right out your front door! 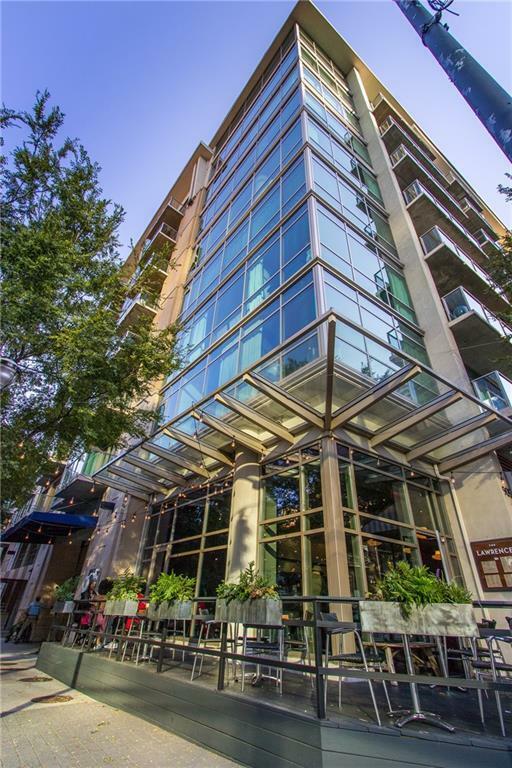 Stellar amenities include concierge, gym, restaurant, pool/spa and business center! 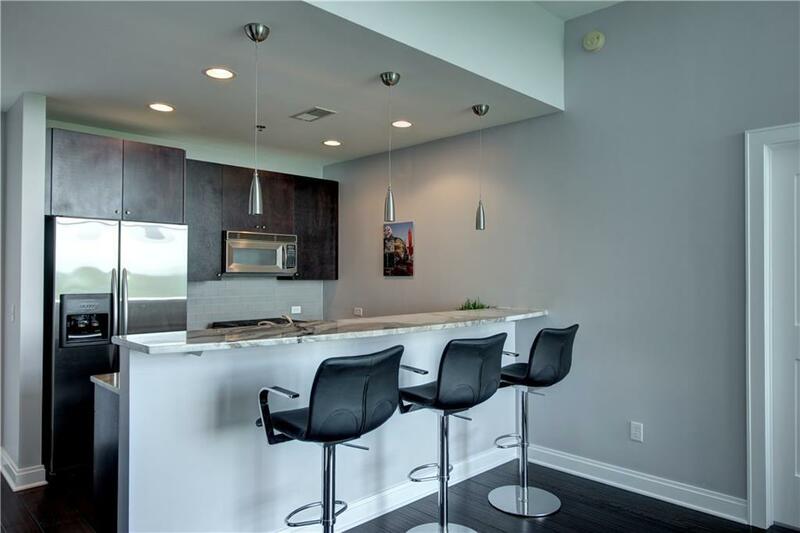 Sleek modern kitchen with SS appliances, granite, breakfast bar and is open to the living area with hardwood floors and floor to ceiling windows! Huge master suite with spa bath and large secondary room with full bath! Includes 2 covered & secured parking spaces!